Testosterone BoostersHi Tec Testoplast - 100 kaps. Hi Tec Testoplast - 100 kaps. The preparation of high-end products increase the level of testosterone in the body. It improves regeneration and promotes anabolic! 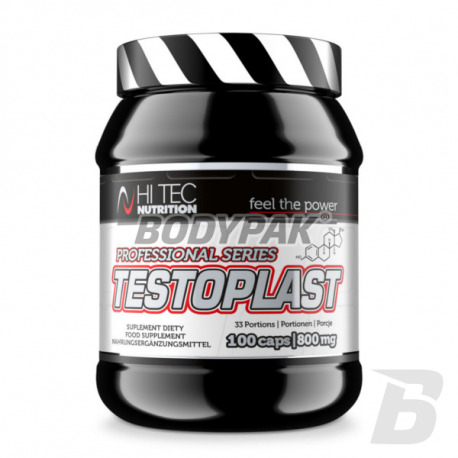 Hi Tec Nutrition Testoplast is a product of the highest quality products which increase the level of testosterone in the body. The product is a rich source of steroid saponins and wysokoskoncentrowanej 4-hydroxyisoleucine obtained with advanced process extraction Fenugreek seeds. Steroid saponins stimulate the pituitary gland to increased production of luteinizing hormone (LH) whose affecting the gonads, increasing testosterone synthesis. In addition, steroidal saponins, modified by symbiotic intestinal microflora, are precursors in the synthesis of steroid hormones, anabolic agents. Providing precursor of androgens causes an overproduction of testosterone, through which blood will be "free" (not bound to proteins) testosterone very strong anabolic effect. Fenugreek extract stimulates the production of red blood cells increases the absorption of nutrients in the small intestine, increasing nitrogen retention in the body, it stimulates protein synthesis, which stimulates myogenesis (development of muscle tissue), the growth of cartilage, bone and proper aggregate. Use the anabolic properties of insulin only to the muscles and adipose tissue is not !!! Used in the preparation of 4-hydroxyisoleucine controls the auxiliary-insulin levels in the blood and increases the sensitivity of muscle cells to the hormone. The effect of this unique amino acid is the stimulation of muscle protein anabolism, significantly reducing accumulation of fat storage and improve the economy of sugar and insulin in the body. 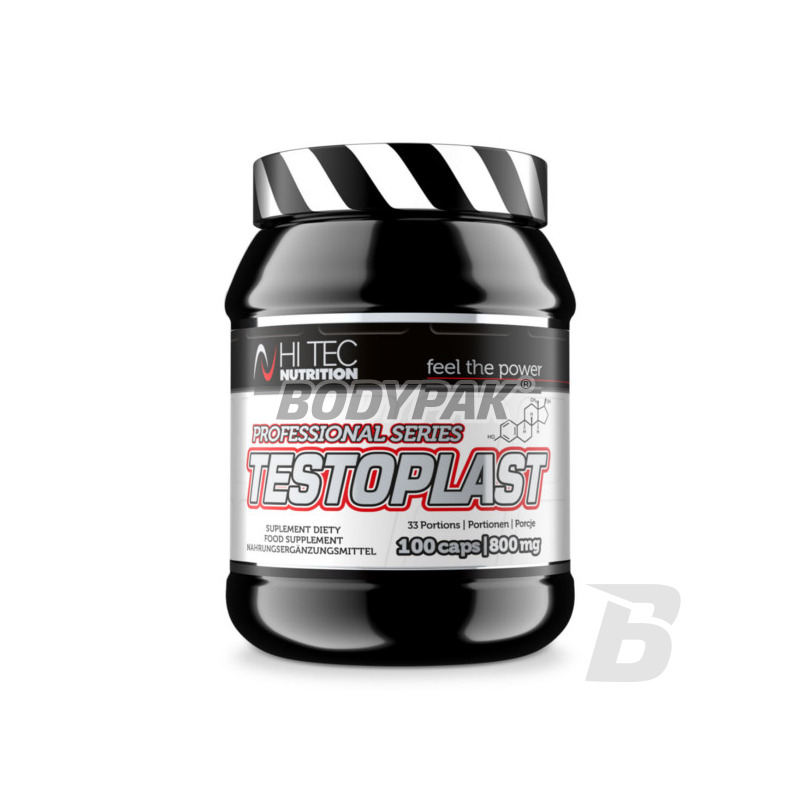 Testoplast The product is enriched with vitamin A and trace elements zinc and selenium necessary in the synthesis of steroid hormones, insulin, body proteins, the antioxidant defense system. Testoplast is recognized in Europe as the strongest anabolic agent accelerating the growth of lean muscle mass and reduce body fat. Nie jest wart złamanej złotówki! Żaden efekt, jedynie szczuplejszy portfel... nie polecam! Extremely anabolic mix based on the effective substances (such as Tribulus Terrestris, ZMA) active raising testosterone levels. It helps to increase efficiency and improve recovery time!